The Longhorn Cowfish is one of the most unusual little creatures I’ve ever seen. They’re fast, friendly, and look like they should have their own cartoon show. 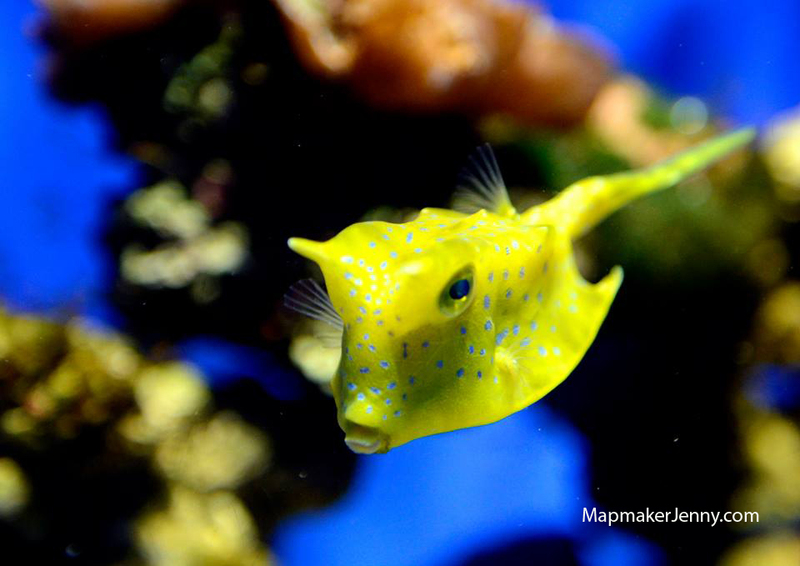 You’ll find this handsome guy at the Oklahoma Aquarium in Jenks, Oklahoma. It’s well worth a visit. According to Wikipedia the longhorn cowfish is a resident of the Indo-Pacific region and can grow up to 20 inches long. While badly suited to the home aquarium, the cowfish is becoming increasingly popular as a pet.